Dr. Selwyn brings an extensive scientific background to projects involving the preservation and conservation of historic structures. 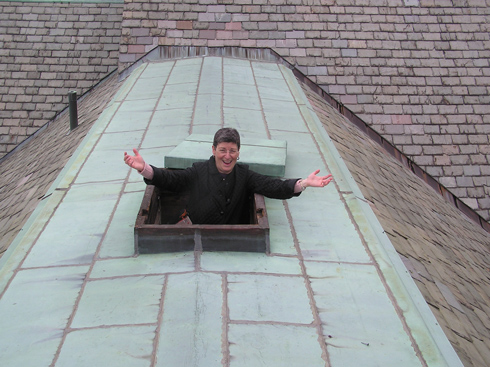 Her projects include more than 1000 masonry conservation, historic roof repair, existing condition survey, historic structure reports and paint analysis projects, as well as special studies for the conservation of historic building fabric including wood restoration, historic windows, stained glass, metals, tile and terrazzo. Dr. Selwyn's projects include: Faneuil Hall, Old State House, Old City Hall, Boston Public Library, Massachusetts State House, New Haven City Hall, Touro Synagogue, Newport Preservation Society, Carnegie Museum, Isabella Stewart Gardner Museum, many buildings at Harvard, Boston College, Wellesley College, MIT, Yale, Wesleyan, Smith College, Mt. Holyoke College, US Naval Academy, Duke University, Phillips Andover Academy, and Boston College, Crane Public Library (Quincy), Ames Library (Easton), Hyde Park Public Library, Milton Public Library, Baker Library (Harvard Business School), Billings Library (Univ. of Vermont), Springfield State Office Building, Manchester Public Library, Federal Courthouses in San Juan, Worcester and Portland, Maine as well as numerous historic churches. Performance spaces in New College Theatre (Harvard), Modern Theatre (Suffolk University), Majestic Theatre (Emerson College), Class of '92 Theatre (Wesleyan), Alumni Hall (Wellesley).